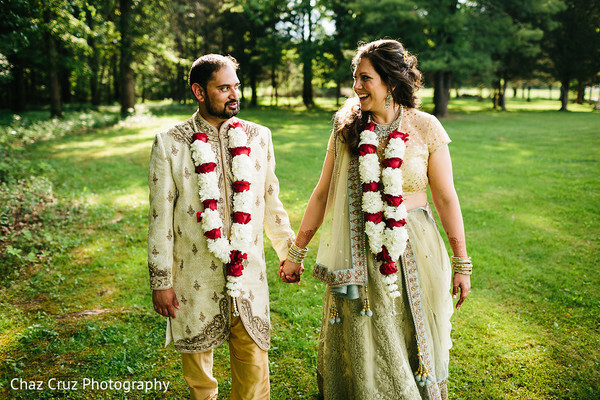 Today in Catskill, New York we take in the breathtaking scenery of nature and gaping views of the Catskill Mountains for Maharani Carla's Indian Fusion wedding at the charming Kaaterskill Inn. 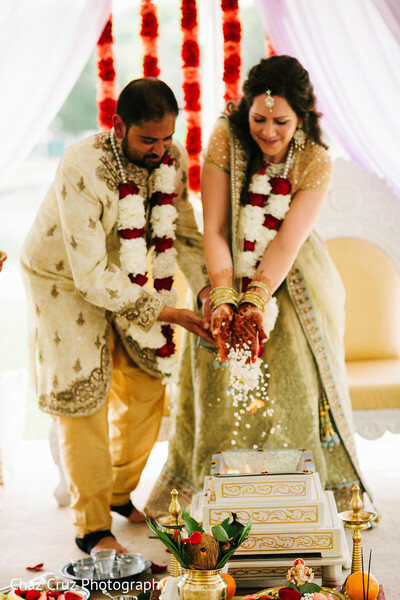 The celebration suffused Indian culture with the serenity of winding rivers for a picture perfect wedding captured by Chaz Cruz Photography. 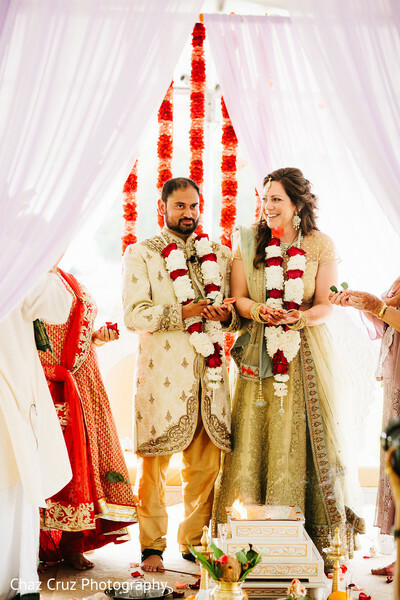 On the wedding day, our Maharani looked blushing in a pastel green and creamy gold lengha that was further beautified by the modern henna design created by Mehndi by Monika. 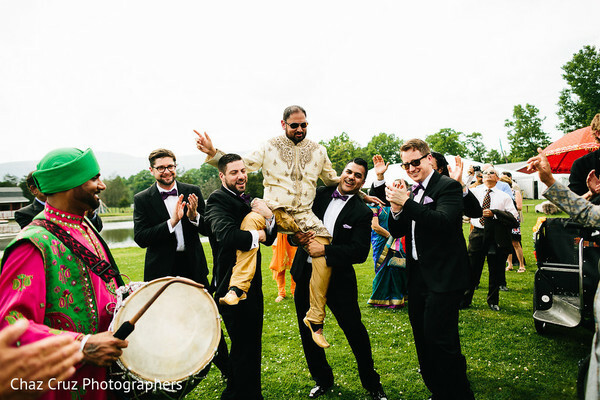 The baraat ceremony, with dhol master Madan Madi, rocked Mother Nature with the clear indication that an Indian wedding has come to town! 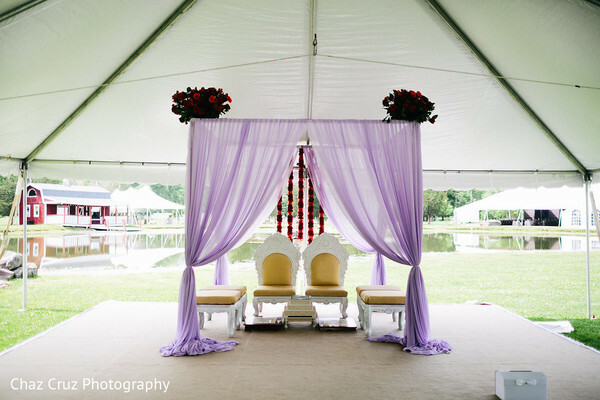 The riverside venue was held outdoors under an ivory colored frame tent from Big Top Rentals. 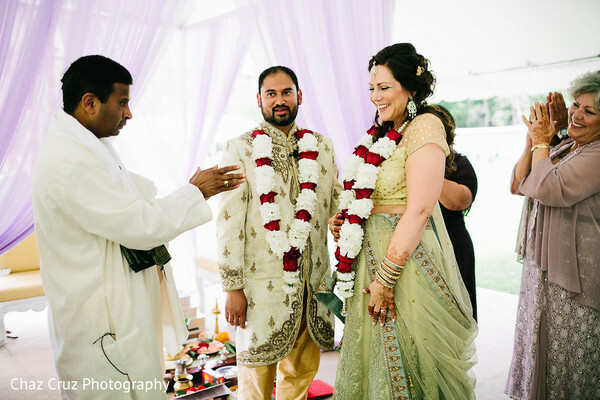 Touch of Elegance Event Planners worked tirelessly with various vendors to ensure that the coordination for both types of weddings were seamless. Take a drift down the windy, lazy, river of Catskill into the gallery for more fusion fun. 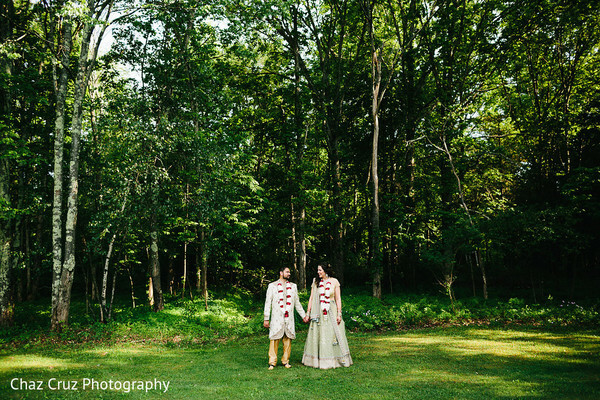 Return back to this whimsical world of nature for the Chipalkatty's wedding reception!